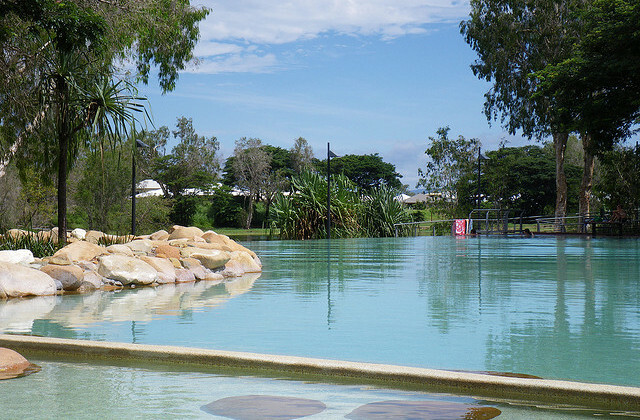 Whether you want to do some laps or play in the various pools there’s something for everyone at Riverway Lagoons. Best of all, it’s all free! For the kids, there’s numerous playgrounds, a large timber fort, a dedicated toddler pool, a generous amount of sandy areas to build sandcastles or moats and a fun water park. For the adults there’s waterfalls, plenty of little nooks and shaded areas and a choice of multiple pools to lounge in. 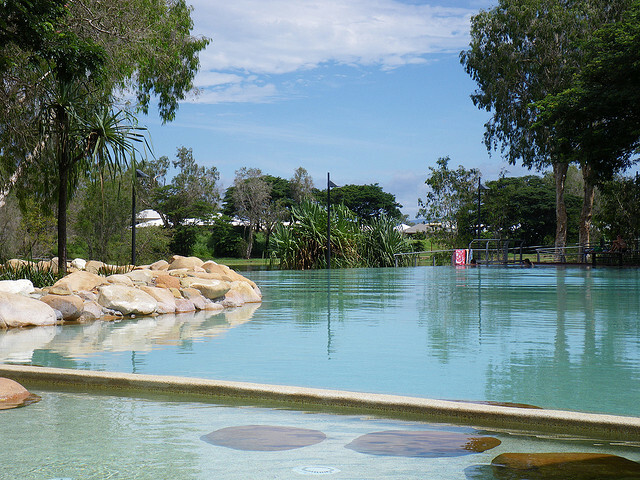 Even on a busy day, finding a quiet spot is easy at Riverway Lagoons, the water area is larger than 3 Olympic sized pools combined! There’s generous parking, free public amenities like lockers and showers and the pools are patrolled by lifeguards. If you want to enjoy the place but don’t feel like donning your bathing suit, there’s tons of gorgeous boardwalks along the Ross River with picnic tables and barbecues scattered throughout Pioneer Park. The Riverway Lagoons are located below the Riverway Arts Centre in Pioneer Park. It can be found at the intersection of Ross River Road and Thuringowa/River Road Drive.